As the “perfect fit” since 1956, our women’s winter line has the perfect styles and fits to help you get through the warmer months in style. A specialty retailer for women who value quality, affordable stylish apparel, accessories and exceptional service. Our label is designed exclusively to be the “perfect fit” for women of all ages and all sizes (Missy, Petite, Women). Come in today to check out our newest selections for the season. We promise that when you visit our store located in Charlotte Premium Outlet in Charlotte, NC a sales associate will help you build outfits to suit your individuality. And at our outlet locations, you can save big on your wardrobe. 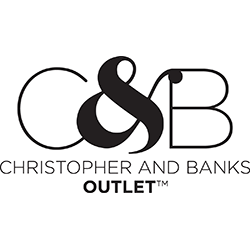 We hope to see you visit our women’s clothing outlet at Charlotte Premium Outlet soon.